We’d love your help. Let us know what’s wrong with this preview of Bee by Claire Preston. "How doth the little busy bee improve each shining hour / and gather honey all the day from every opening flower!" This famed Isaac Watts verse reveals the enduring fascination that bees have held for humans: bees have long been admired for their remarkable socialization and architectural skills, and since the earliest times they have carried profound symbolic meanings. Cl "How doth the little busy bee improve each shining hour / and gather honey all the day from every opening flower!" This famed Isaac Watts verse reveals the enduring fascination that bees have held for humans: bees have long been admired for their remarkable socialization and architectural skills, and since the earliest times they have carried profound symbolic meanings. 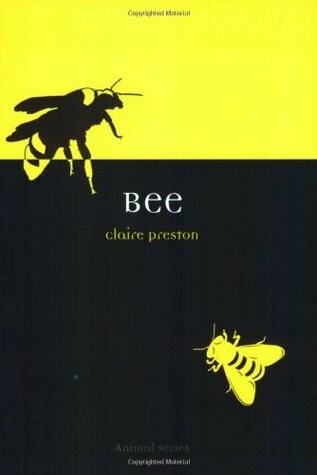 Claire Preston's Bee offers a comprehensive survey of the natural and cultural history of the bee and explores the impressive body of literature that has grown out of man's search for honey. Bee traces the bee's role in art, politics, and social thought, drawing on scientific studies, literature, and historical texts. The volume examines the evolution of the bee's cultural image from a symbol of virtue and civility to the dangerous swarms of killer bees in Hollywood horror flicks. From ancient political analogies to Renaissance debates about monarchy to studies of bee behavior that portend ominous conclusions for our own socialization and use of technology, Bee analyzes the complex connections between the bee and human culture. To ask other readers questions about Bee, please sign up. Do the multiple factual inaccuracies in this book matter ? The Biology section is simply all wrong about bees. Sarah Yes it does matter. If you can't trust the simple facts then I don't see why you should trust anything else. Given how often I absolutely adore the Reaktion Animal Series books, I was rather deeply disappointed in this one. I was wary rather immediately when I saw other reviewers point out some mistakes that the author had made in the biology section of the book. Further, it was mentioned in previous reviews how often the author relied upon narratives from the 1600s rather than talking about innovations in apian science and our understanding of bees in general. Only briefly was bee communication and dan Given how often I absolutely adore the Reaktion Animal Series books, I was rather deeply disappointed in this one. I was wary rather immediately when I saw other reviewers point out some mistakes that the author had made in the biology section of the book. Further, it was mentioned in previous reviews how often the author relied upon narratives from the 1600s rather than talking about innovations in apian science and our understanding of bees in general. Only briefly was bee communication and dancing mentioned within the book, and very little attention was paid overall to any recent ethology studies on the insect. The bulk of the book was focused only upon honeybees and the symbolism thereof. Anthrpocentrism dominated the book, which was a bit sad as I was hoping for more information about actual bees, to learn more about bees that aren't honeybees, and in general broaden my apian horizons. This was a decent introduction to how humans have thought of bees and how those thoughts have changed. It was a decent look at the political importance of bees as a symbol of idealized society, and later, the horrors of communism and bees representing the ultimate deindividuated person. So, all in all the book was interesting and I was able to learn from it, but I had hoped for something rather more detailed and enlightening. Some pretty pictures, some glaring factual errors in the biology chapter and elsewhere, and the language was pretty turgid and the sections unstructured. If it had not been about bees I would have looked at the pictures and then abandoned it. For anyone with a vague fascination with bees, this is an insightful, engaging, and accessible book. What are some things I learned from this book? • Virgil claimed bees balanced themselves for flight with tiny stones carr For anyone with a vague fascination with bees, this is an insightful, engaging, and accessible book. What are some things I learned from this book? • the Latin word for "deceit" is also the word for "drone"
One of the best general bee overview books out there (of which there are several) that cover lore, legend and fact about bees. This one delves a bit more, and has many wonderful illustrations. Did you know St. Ambrose was the patron saint of beekeepers? Or there's an African bird that eats honey and leads people to bees' nest so the humans can harvest the honey and share it with the bird? Lots of fascinating tidbits. disappointing. more is said about what is said about bees rather than bees themselves. didn't finish. This was a great book--it was just what I was looking for: a cultural overview of the bee and how it's been viewed through history and it's various cultural incarnations. Great! I love this publisher/series. I need to pick up a more science-y bee book but this was a good overview/intro.